There have been ghosts on the London Underground, sad, harmless spectres whose presence does little more than give a frisson to travelling and boost tourism. But now there’s a rash of sightings on the Metropolitan Line and these ghosts are frightening, aggressive and seem to be looking for something. Enter PC Peter Grant junior member of the Metropolitan Police’s Special Assessment unit a.k.a. The Folly a.k.a. the only police officers whose official duties include ghost hunting. Together with Jaget Kumar, his counterpart at the British Transport Police, he must brave the terrifying the crush of London’s rush hour to find the source of the ghosts. Joined by Peter’s wannabe wizard cousin, a preschool river god and Toby the ghost hunting dog their investigation takes a darker tone as they realise that a real person’s life might just be on the line. And time is running out to save them. The Furthest Station is a quick novella that retains the spirit of the series but which remains unsatisfying. Peter’s distinctive voice is present; even though the novella is short, there’s still space for his digressions and pop culture references. There’s even a few footnotes addressed to his American counterpart, though I found these a bit disruptive. They call into question the nature of the story, particularly as there is no framework set up to indicate Peter is addressing someone particular. The story does a reasonable job of introducing who Peter is and what he does for a living. However, I’m not sure I’d recommend it as an entry point to the series. For example, the oddness of Molly is never explained for a new reader and the references to Beverley and her family are cursory. There’s a lot of background present which is likely to make it confusing. I enjoyed seeing Peter spend more time with Abigail, though there’s never any real change in their relationship. Preserving the status quo for the novels in such a way leaves it ultimately feeling like filler. The main plot held up fairly well until the ending. While it was nice to see an acknowledgement that not all police work ends tidily or in a dramatic fashion, the number of loose ends made it unsatisfying to me. 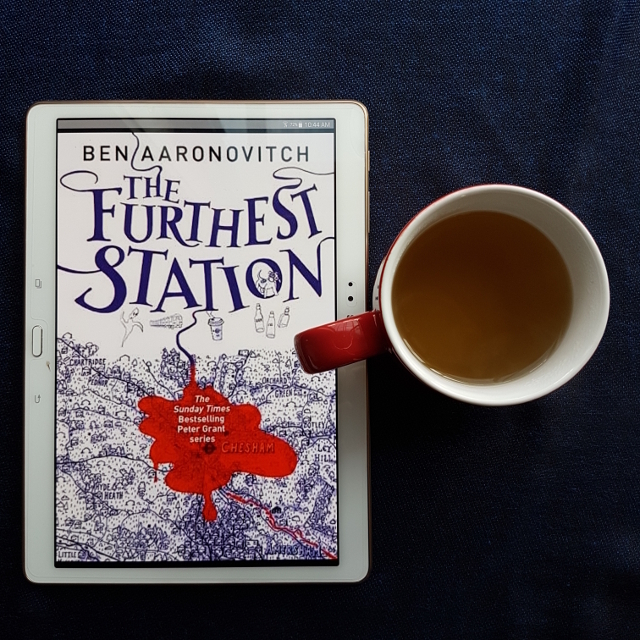 All in all, The Furthest Station was a pleasant read, but not one of Aaronovitch’s better works.